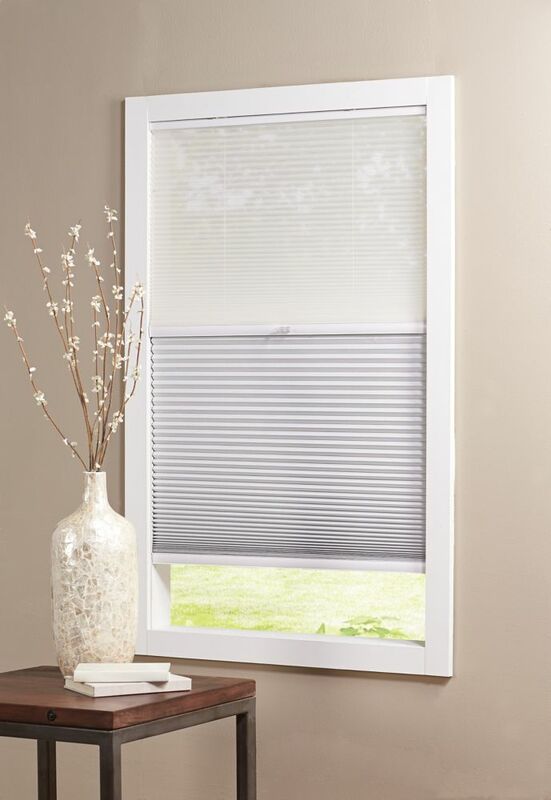 Cordless Day/Night Cellular Shade Sheer/Shadow White 30-inch x 48-inch (Actual width 29.625-inch) The right window shade can refresh your room with light and colour. When making your choices, be sure to think about how much light you need. A sheer cellular shade will filter light gently into your space, while a black out cellular shade will stop unwanted brightness. You'll also want to consider tone and texture. What shade will complement your furniture, floor coverings and wall colour? Cordless Day/Night Cellular Shade Sheer/Shadow White 30-inch x 48-inch (Actual width 29.625-inch) is rated 5.0 out of 5 by 1. Rated 5 out of 5 by idohavalife from These are really great !! This is my project house. Most of the work is done by me... (some by the wife,,, just do not get a small woman on a rebar bender). We put them in the rental unit. They work great. Finishing the main unit and starting to install these as I finish my project. During thee day when only the top is up, they break any visual into the unit. At night they are nicely slide up to prevent any visual at all into the living area. And they really block the daylight if you want to sleep late. I consider 7am is sleeping in, my wife can sleep till 9. What is the maximum that these can be narrowed by? By using a 30&quot; W shade, the maximum the shade can be cut is 3&quot; (1.5&quot; on each side).